Alloy 400 Monel® (UNS N04400/W.Nr. 2.4360 and 2.4361) is a solid solution alloy that may be hardened only by cold working. It has high strength and toughness over a wide temperature range and excellent resistance to many corrosive environments. Alloy 400 is virtually immune to chloride ion stress corrosion cracking in typical environments. Generally, its corrosion resistance is very good in reducing environments, but poor in oxidizing conditions. It is not useful in oxidizing acids, such as nitric acid and nitrous. Nevertheless, it is resistant to most alkalis, salts, waters, food products, organic substances and atmospheric conditions at normal and elevated temperatures. 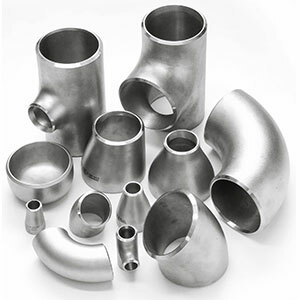 Alloy 400 Monel® offers about the same corrosion resistance as nickel but with higher maximum working pressures and temperatures and at a lower cost due to its superior ability to be machined. Alloy 400 Monel® is attacked in sulfur-bearing gases above approximately 700° F and molten sulfur attacks the alloy at temperatures over approximately 500° F. Alloy 400 Monel® has great mechanical properties at subzero temperatures, can be used in temperatures up to 1000° F, and its melting point is 2370-2460° F. However, Alloy 400 is low in strength in the annealed condition so, a variety of tempers may be used to increase the strength. Alloy 400 Monel® is widely used in many fields, especially marine and chemical processing. Typical applications are valves and pumps; pump and propeller shafts; marine fixtures and fasteners; electrical and electronic components; springs; chemical processing equipment; gasoline and fresh water tanks; crude petroleum stills, process vessels and piping; boiler feed water heaters and other heat exchangers; and deaerating heaters. Finished fabrications can be produced to a wide range of mechanical properties when proper control of the amount of hot or cold working and the selection of appropriate thermal treatments is done. Like most other nickel alloys, Alloy 400 Monel® is typically tough to machine and will work harden.